Mauricio Lasansky has been making prints for more than 65 years  first in his native Argentina, then in New York City, and (more than fifty-five years) in Iowa City, Iowa. 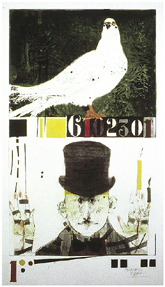 Best known for large scale prints in which he uses multiple plates and full ranges of color, Lasansky combines a spectrum of graphic techniques including etching, drypoint, aquatint and engraving. Throughout his stylistic evolution, he has created eloquent figural statements that are colorful, fresh and spontaneous. Mauricio Lasansky is also known worldwide for The Nazi Drawings, which examine the brutality of Nazi Germany. They are a powerful expression of the profound disgust and outrage the artist felt after viewing a US Military documentary showing the victims and aftermath of Nazi atrocities. Lasansky worked intensively for six years to create the series, which consists of thirty individual pieces and one tryptich. The drawings were created with lead pencil, water- and turpentine-based washes, and collage on common commercial paper. Since their completion in the late 1960's, The Nazi Drawings have been exhibited in many prominent art museums, and have received widespread public attention. In 1967, The Nazi Drawings, along with shows by Louise Nevelson and Andrew Wyeth, were the first exhibits installed at the new Whitney Museum of American Art in New York City. Mauricio Lasansky has devoted himself to exploring the expressive possibilities of graphic arts. He has amassed a body of prints considered to be among the most powerful and impressive works by a contemporary artist in any medium, and has contributed significantly in establishing printmaking as a meaningful and critical art form of the 20th century. As a result, he has become one of the first in a generation of important printmakers to teach scores of students, who in turn are teaching scores of future generations in the United States and abroad. For all these reasons, Mauricio Lasansky is considered to be one of the "Fathers of 20th Century American Printmaking." 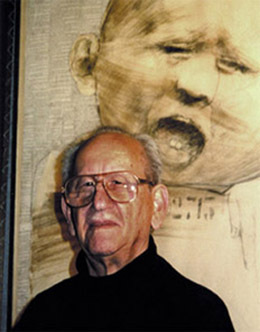 The Lasansky Galleries in Iowa City are home to both the artist and his work. More Recent Works . . .